Allrecipes Dinner Spinner is a great app for recipes. Cooking a Thanksgiving dinner is quite stressful. You may not have all of your grandma's perfect recipes on hand. This app can help. It boasts a metric ton of recipes that range from breakfast to dinner and even a lot of seasonal stuff. It also includes tons of instructional videos, a method to save favorite recipes, and more. The app is also entirely free to download and use. It can be very helpful during one of the biggest cooking days of the year. There's no reason it shouldn't be on a Thanksgiving apps list. Groupon is one of the more helpful Thanksgiving apps. The app finds coupons for various things. You redeem the coupons and save a little bit of money. Usually the app includes stuff like food, clothing, hotels, spas, and various other things. Some of that stuff is definitely useful for Thanksgiving. There are other coupon apps like Krazy Coupon Lady that focus more on things like food. Either way, you can't go wrong with saving a few extra bucks on Thanksgiving dinner or hotel reservations! Pinterest is one of the interesting Thanksgiving apps. It doesn't provide any specifically helpful information. However, you can find ideas for all kinds of fun stuff. That includes recipes, decorations, DIY projects, and other fun ideas. Everything is posted by community members and it's all free. That gives it a bit of a genuine flavor to everything you find. Most of the stuff is also relatively inexpensive and not overly time consuming. You can find a lot of unique Thanksgiving ideas there, especially for decorations and recipes. The app is free with no in-app purchases or ads. Reddit is a lot like Pinterest when it comes to Thanksgiving apps. It doesn't provide any specific benefits. However, you can find subreddits for all kinds of Thanksgiving stuff. That includes funny stories, memes, and photos as well as recipes, decoration options, and advice. It's a bit challenging to find the proper subreddits, but the information is good. 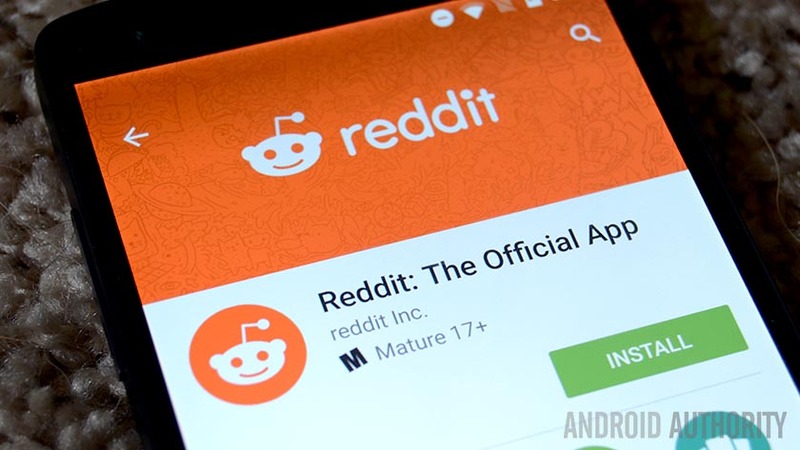 We recommend the official Reddit app for starters. There are plenty of excellent third party options as well. Most of them are free or at least very inexpensive. We recommend checking our r/Thanksgiving and r/Cooking for some great ideas. Thanksgiving Live Wallpapers is one of a surprisingly small number of Thanksgiving wallpaper apps. It offers a variety of Thanksgiving themed wallpapers with a little bit of live wallpaper goodness. It has turkeys in various settings and some simpler stuff like pumpkins and text. You can customize the number of live wallpaper elements. Thus, you can make it as minimal or as active as you want. It gets updated every year and it puts your phone in the mood for the season. Plus, it's entirely free. There are ads, but they're not a big deal. YouTube is probably the overall best Thanksgiving app. Video tutorials work so much better than written ones most of the time. I am not embarrassed to admit that I carved my first turkey by following a YouTube tutorial. It should also have plenty of recipe videos, decoration videos, and even Thanksgiving music. We heartily recommend the original 1967 recording of Alice's Restaurant by Arlo Guthrie (linked below). It's a Thanksgiving classic. In any case, YouTube is free to use. There are ads, but they're not that big of a deal. You can pay $9.99 per month to remove ads, add background play, and other excellent features as well. Zedge is one of the most popular apps for ringtones, notification tones, and wallpapers. They have an absolutely massive selection of stuff and yes, that includes Thanksgiving stuff. You can get something simple like a turkey gobble for a notification tone or some decent-looking Thanksgiving wallpapers. It's a quick and neat way to theme your device for the holiday season. Plus, you can keep Zedge after Thanksgiving and move right along to Christmas if you want to. The advertising in this app is a little annoying, but you get used to it. This is a bit of a weak pick, but it's still highly relevant. Most streaming services have a bunch of Thanksgiving content. Netflix and Hulu have Thanksgiving movies and Thanksgiving episodes of popular TV shows. Most streaming services have Thanksgiving playlists. We have iHeartRadio linked up because it's probably the easiest solution. Their radio is 24/7 and you can just hit play and forget about it. Apple Music, Google Play Music, Spotify, Pandora, and others have similar stations and playlists available as well. It's nice to use one of these on Thanksgiving Day and have good music and shows going for the family. Many devices have built-in theme stores with a variety of holiday and topical themes. Some of them include HTC, LG, and, of course, Samsung. These theme stores can have themes with holiday colors like brown and orange for Thanksgiving. Others, like Samsung's theme store, has wallpapers, icons, and full themes with Thanksgiving elements. These themes are usually accessible in the theme stores on the devices. That means you can't really find these apps on Google Play. We recommend checking out the settings menu on your phone to see if it has a theme store. If you want some apps that work like this, SwiftKey and Gboard are keyboard apps that let you create custom themes as well.